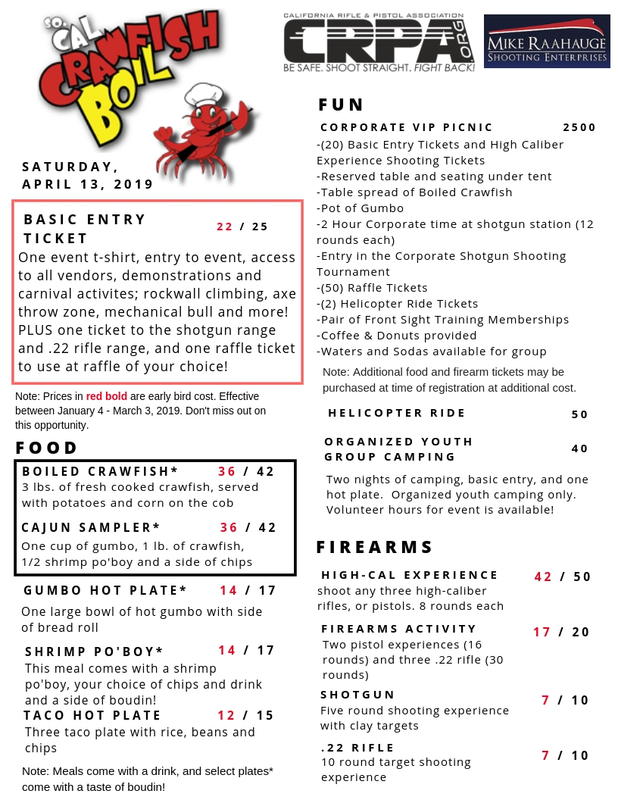 Join us at the upcoming Crawfish Boil! 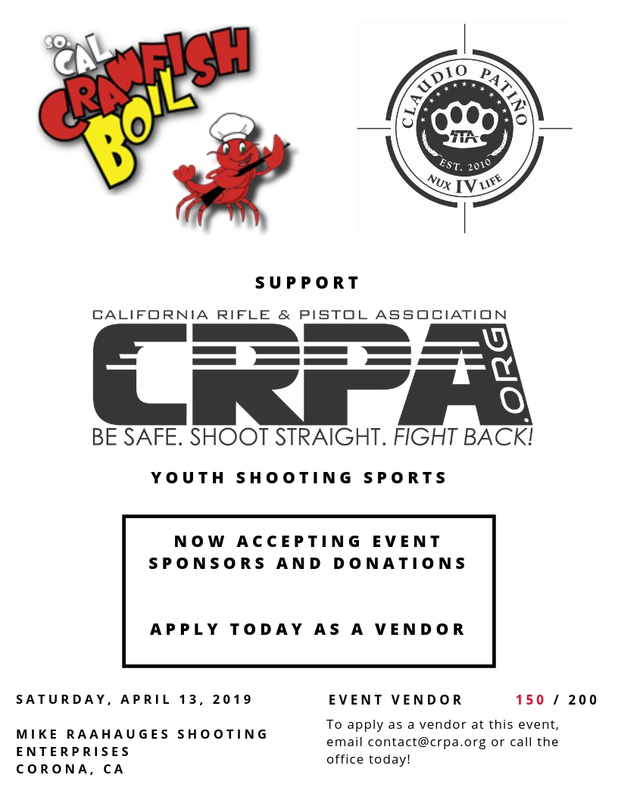 Event proceeds support the continuation of youth shooting sport opportunities in California and, our wonderful beneficiary, NuxIVLife, a non-profit that gives back to our veterans and veteran families who have sacrificed through military service. Please consider purchasing any additional event tickets during online registration. Day of food tickets will be limited. Bring you Corporate Team out for your annual VIP Picnic at CRPA's SO. CAL Crawfish Boil! See the VIP CORPORATE PICNIC package for all inclusive details.